Hotel Xcaret Mexico, Experiencias Xcaret’s first hotel, rings in its first anniversary celebrating milestones, accomplishments and recognitions. Following Hotel Xcaret Mexico’s debut, the upscale resort has reimagined the possibilities of all-inclusive hospitality with innovation and sustainability as key protagonists to its unique offerings. The property recorded an average occupancy rate of 85 percent throughout 2018, with a total of 586,000 guests having experienced the authentically rich spirit of Mexico at the hotel up to date. Additionally, the hotel’s entertainment, meetings and wellness offerings were another major attraction for guests from around the world. In 2018, the design-centric hotel hosted 36 weddings, 120 MICE groups and completed a total of 28,621 Mayan-inspired spa treatments at the majestic Muluk Spa. “December marked a special occasion for all of us at Hotel Xcaret Mexico; together we celebrated with great pride our first year in operation. It’s an incredible experience being able to see a project, that once was a dream, become a reality thanks to our many collaborators, who through hard work and dedication have helped us offer the best quality product and service in Mexican hospitality. We owe our success to them and to our guests, who have celebrated us and have shown their continuous support throughout this process,” said Marcos Constandse, VP of Finance and Business Administration at Grupo Xcaret. 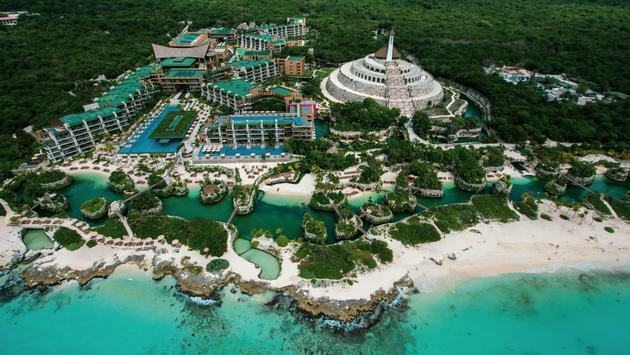 During its first year, the resort also made headlines for its untraditional ALL-FUN INCLUSIVE concept, which grants guests full access to Experiencias Xcaret’s nature parks and tours, in addition to food, drinks and transport to and from the airport. Hotel Xcaret Mexico also led the way in sustainable hospitality, with natural beauty taking center stage as a testament to the property’s mission of being respective and reflective of the environment. 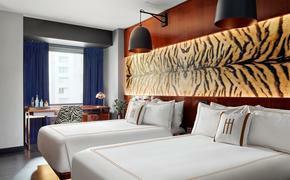 After all, the 900-suite property is the first and only hotel in the Americas to have been awarded the EarthCheck Certification for Planning and Design, a recognition granted after nine years of conducting geological, environmental and water studies to assure the hotel’s design helped preserved the existing ecosystem. “Beyond celebrating our first year, we want to share our gratitude to all of our valued guests and trusted travel partners who have helped make Hotel Xcaret Mexico a success. This is just the beginning of our journey as we are confident this is the first of many successful years to come for both the hotel and the properties. The accomplishment of our first year will inspire each of us to continue working to provide the utmost in service and quality standards so that our guests will continue to feel at home when they visit us,” said Francisco Gutierrez, Executive Director of the Hotel Division at Destino Xcaret. Looking forward to the rest of 2019, Hotel Xcaret Mexico will focus on developing new and innovative projects, renovating and improving its current offering, partnering with the best sustainability brand’s in the marketplace and starting its own initiatives that propel Mexico to be a green destination. For more information, visit www.hotelxcaret.com. SOURCE: Hotel Xcaret Mexico press release.